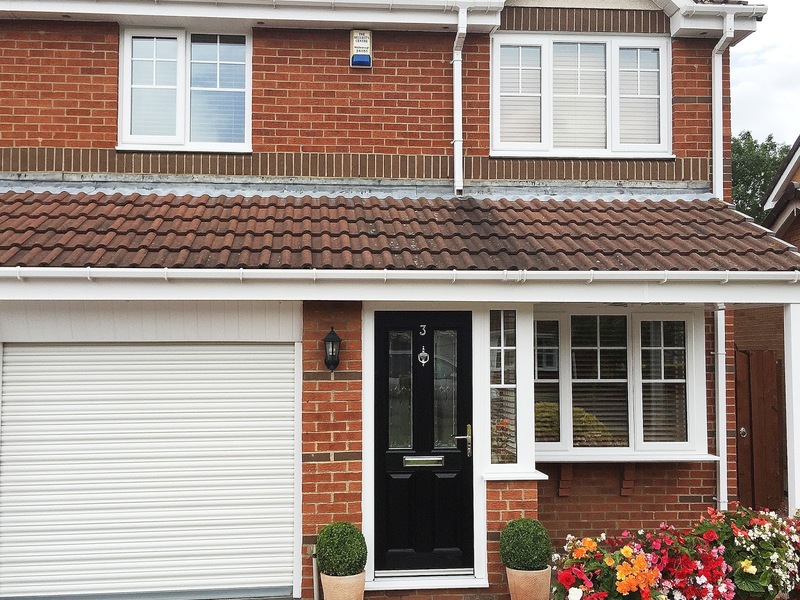 Stunning full house of windows and doors, with gorgeous half Georgian bar half glass windows, side openers and high quality Rehau UPVC Profile. 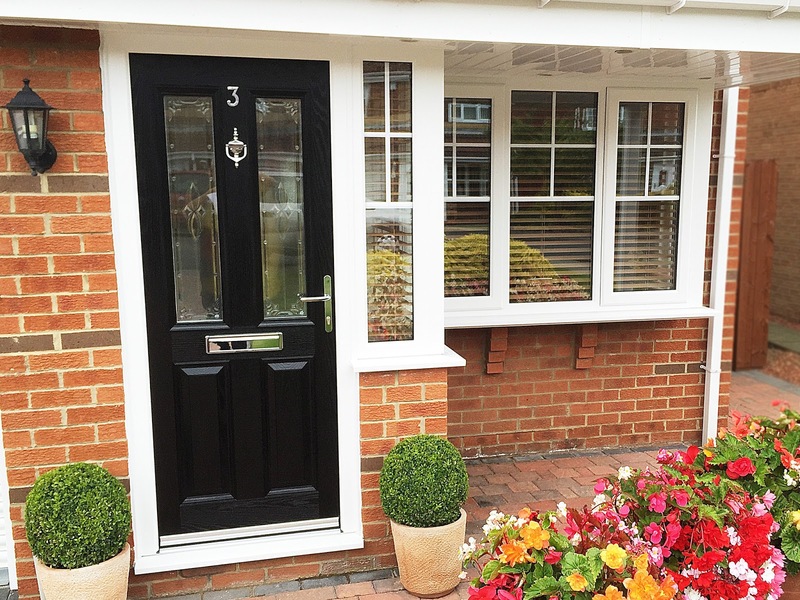 The door is the ever popular black altmore Composite, with a elegant Centaurus glass design within the panels, finished off with Chrome Furniture. Stunning Black Altmore Composite Door, with chrome fixtures and fittings, half georgian bar windows, and upvc rehau profile. 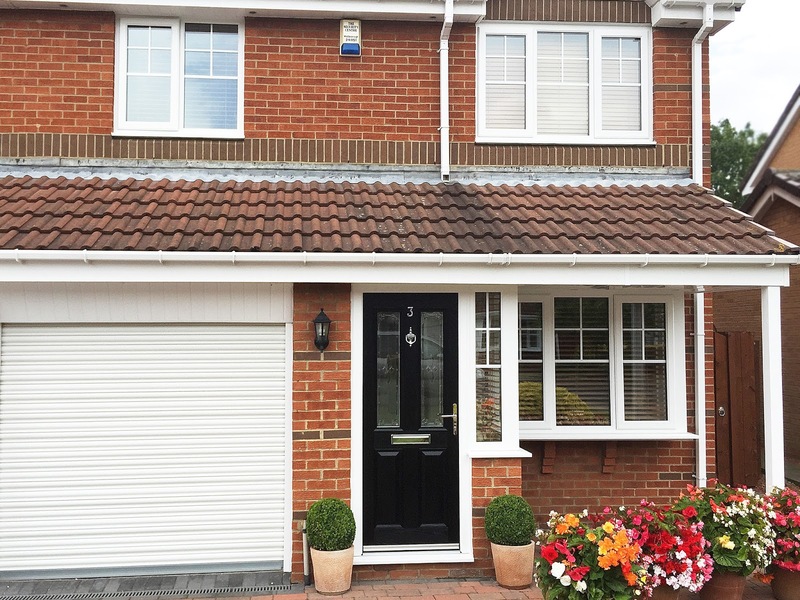 Beautiful View of the Half Georgian Bar Half Plain glass panel windows, with white high quality rehau upvc profile. Full house of windows and doors, with high quality rehau upvc profile, and the popular black Altmore composite front door, with Chrome fixtures and fittings.